INDEPENDENT TD MICK Wallace told the Tánaiste that people voted for change in 2011 but didn’t get it. 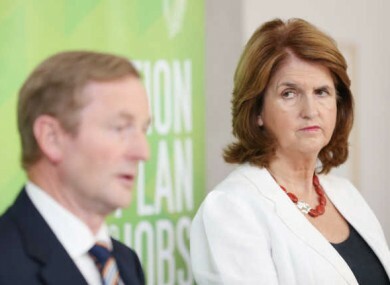 The Tánaiste defended the government saying that unemployment is at the lowest it has been in five and a half years. “There’s a significant fall the number of people unemployed and a huge rise in the number of people back at work. “I agree the country has a long way to go, there are still 80,000 people formerly in construction who are on the live register. We want to build homes for the people who need homes. Wallace described the jobs as “a race to the bottom in social protection. The jobs are minimum wage and have no contract. It surprises me that you’re okay with that. “We’ve put interests of big businesses before the people. People are sick to the back teeth of the cronyism. The people of the country want Enda’s head on a plate and you can deliver it. Switching topic, Sinn Féin Deputy Leader Mary Lou McDonald described Enda Kenny’s explanation of the McNulty affair as “waffle” adding that his answers have been “as clear as mud”. To the public in general looking on the Taoiseach’s fingerprints are all over this appointment. Burton replied, saying that the Taoiseach has explained himself on several occasions. The Tánaiste added nothing new to the McNulty controversy. When questioned on the subject by Fianna Fáil TD Robert Troy – she said that at a meeting with the Taoiseach on Monday she proposed a memo for government in relation to appointments for state boards. Email “Joan Burton told: 'The country wants Enda's head on a plate and you can deliver it'”. Feedback on “Joan Burton told: 'The country wants Enda's head on a plate and you can deliver it'”.